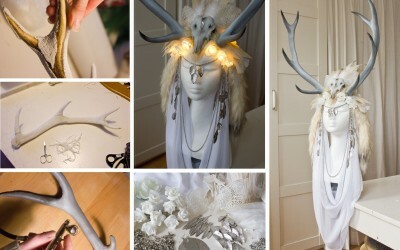 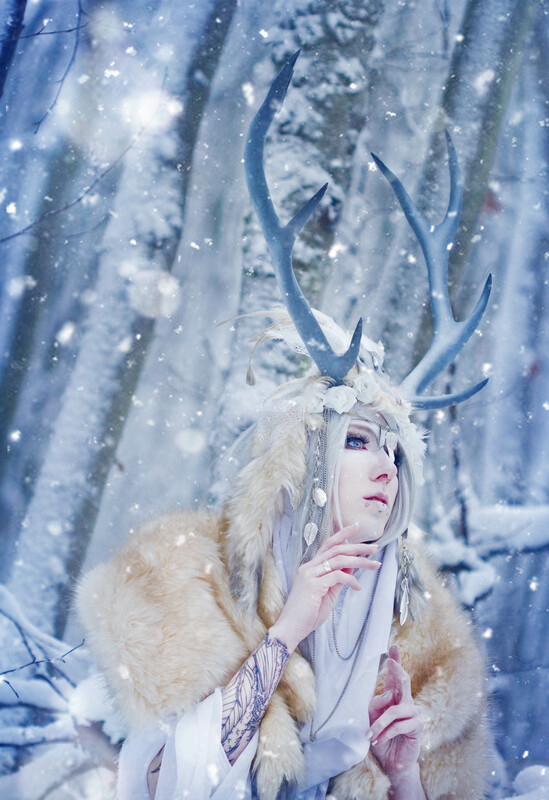 The Winter Faun is one of my own creations. 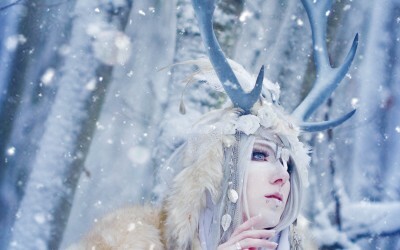 I am a child of winter and feel at home in the snow and icy cold. 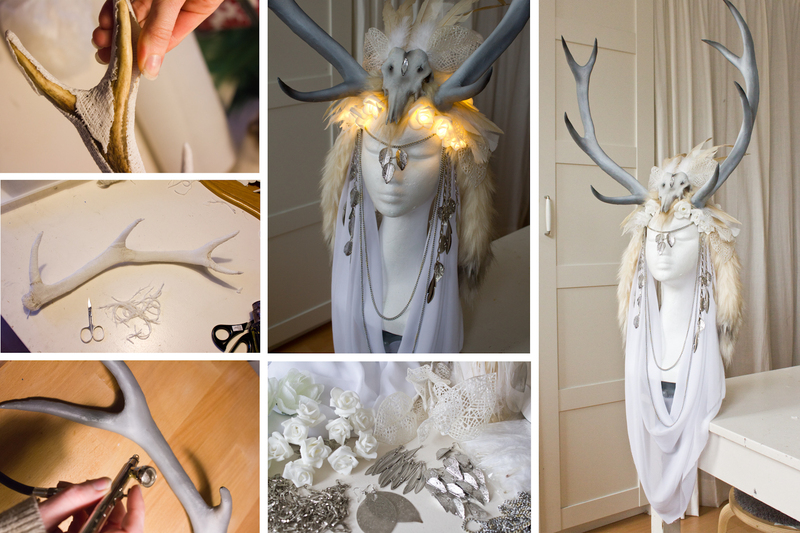 I actually created this costume for my first book, as I needed to make a headdress for the step-by-step tutorials that are in it.